Traditional kitchens are defined by their details, and creating eye-catching detail is not just as simple as putting legs on an island. But whether they're Old World or Mediterranean flavor, traditional kitchens all share the same basic elements. 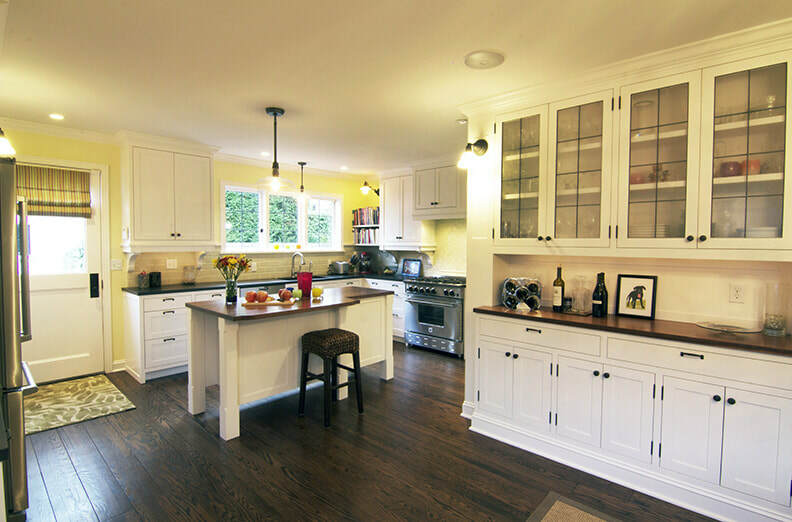 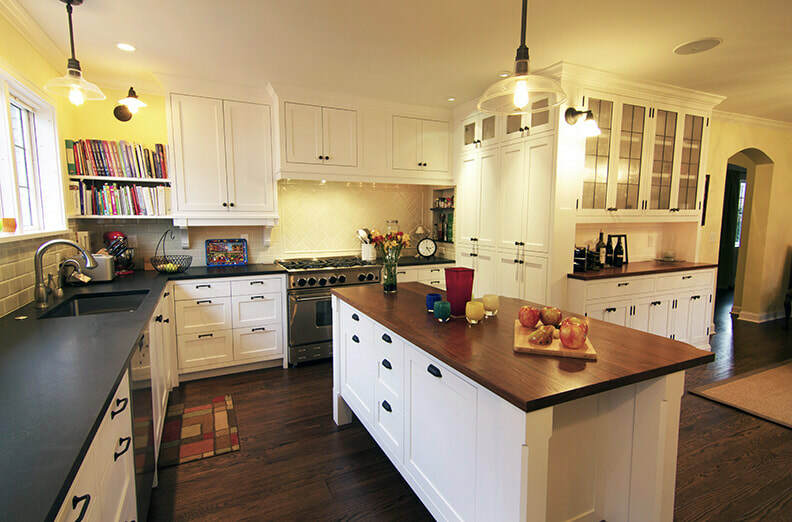 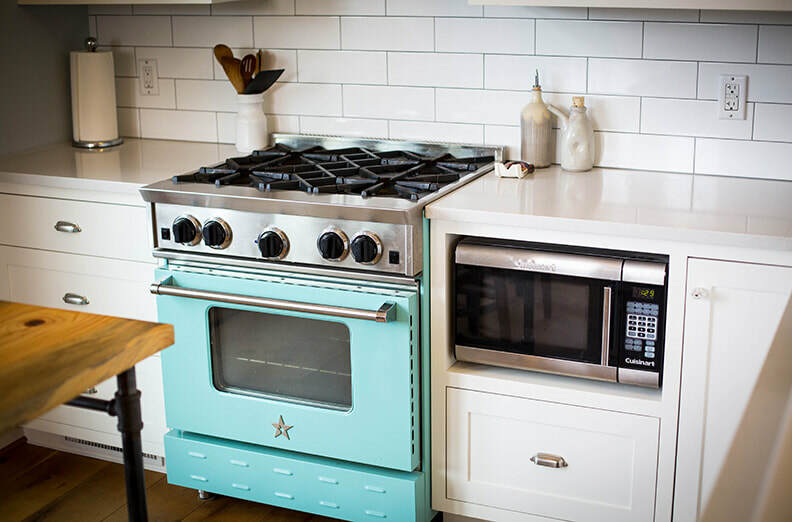 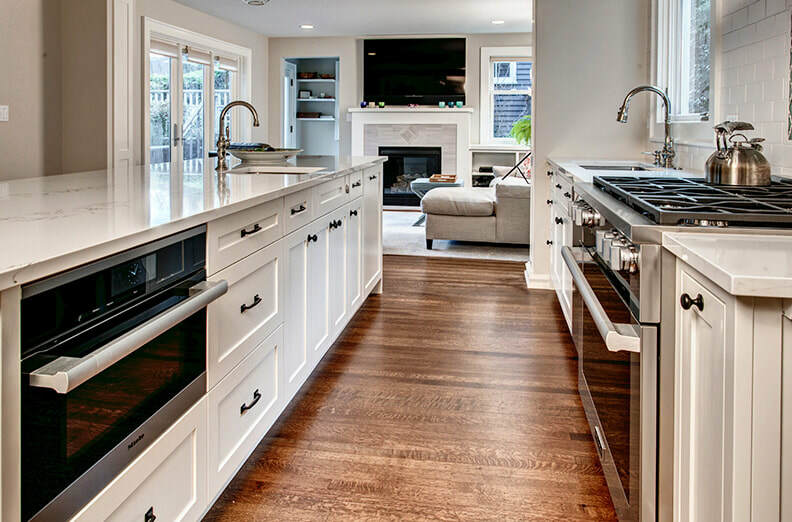 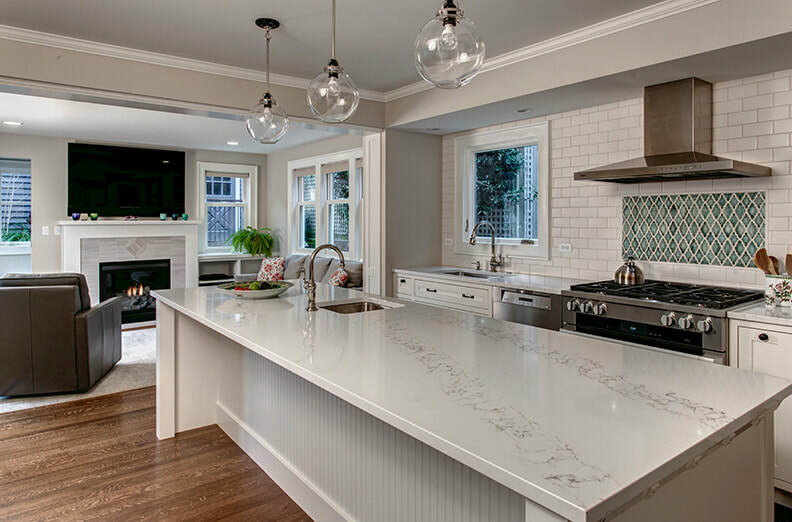 Here are 15 details that help you create traditional kitchen style. 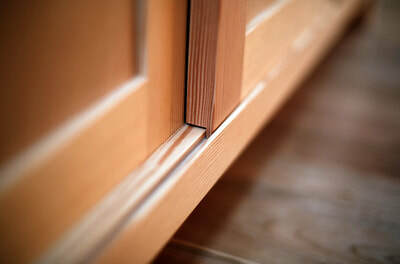 Flush inset or framed cabinetry. 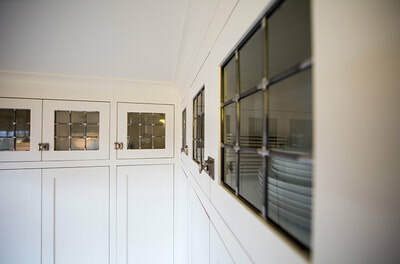 Glazed and antique cabinet finishes. 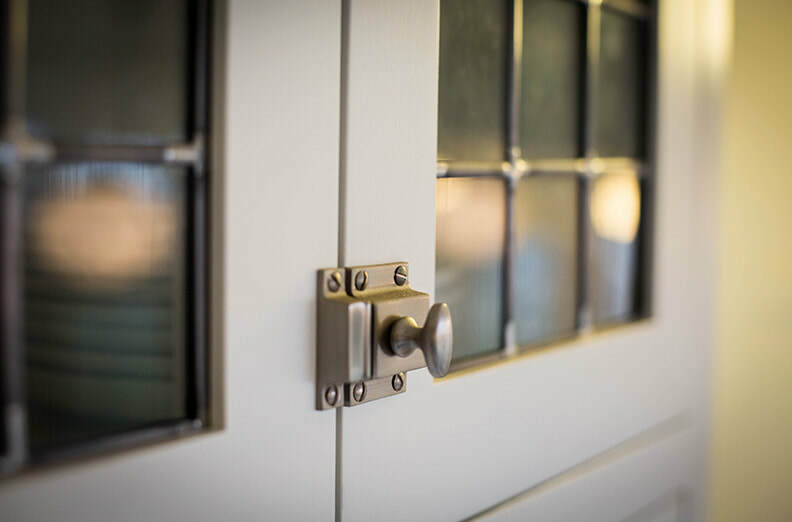 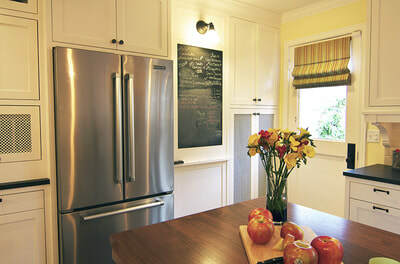 Mixed door styles and finishes. 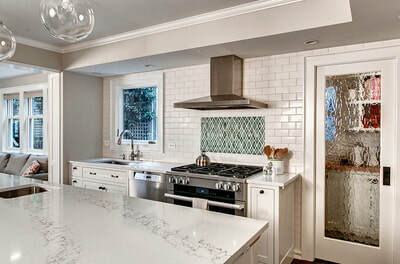 Custom metal, plaster and stone hoods. 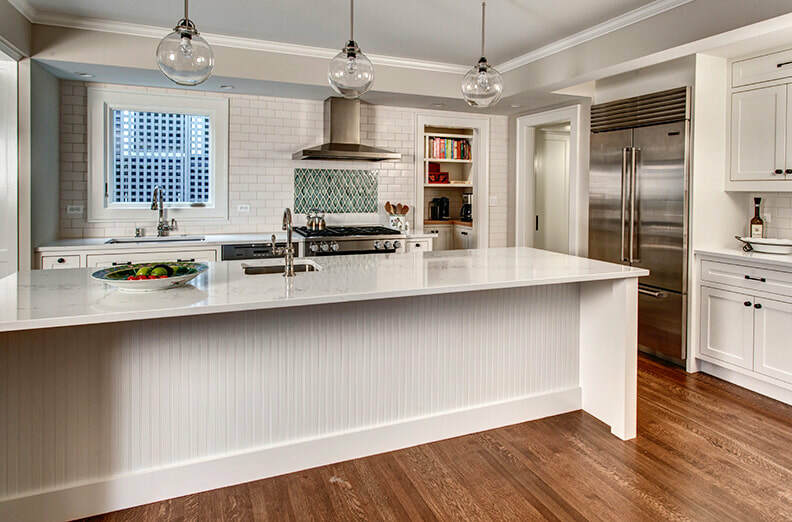 This contemporary classic kitchen is special because of the attention to detail. The white cabinets make the colorful range get the spotlight it deserves. 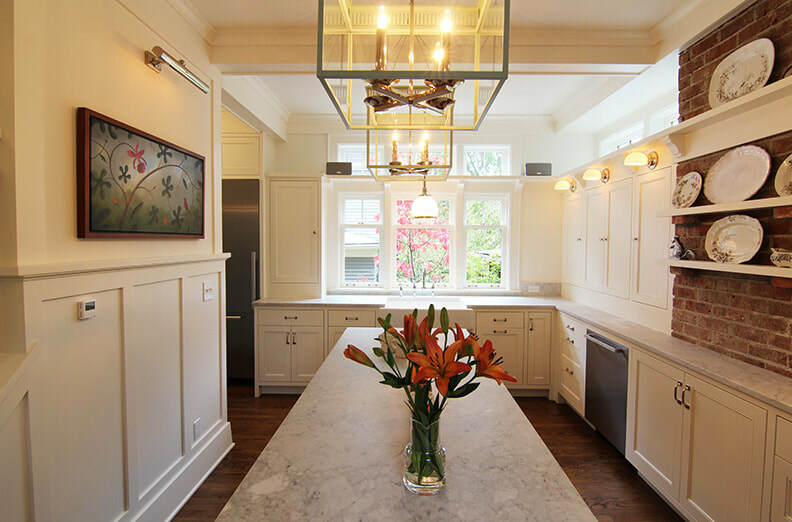 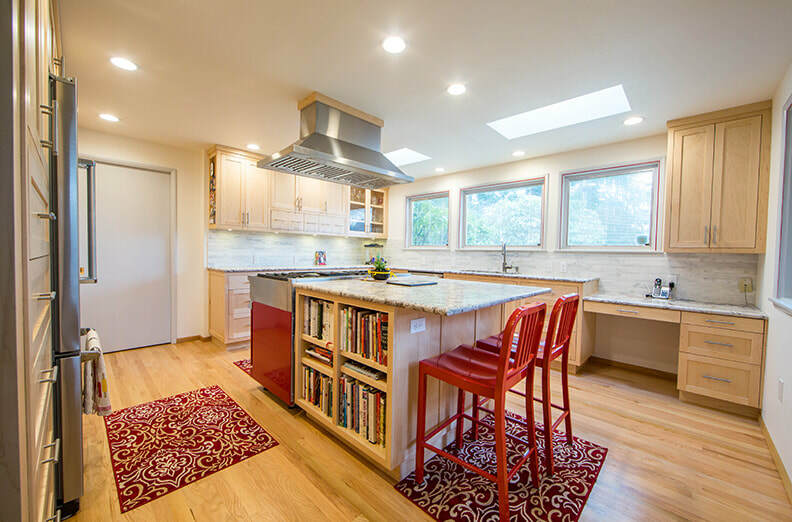 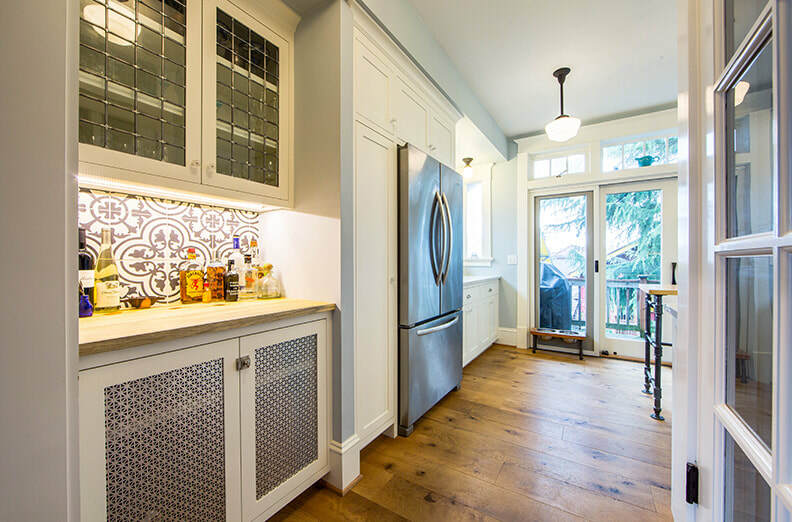 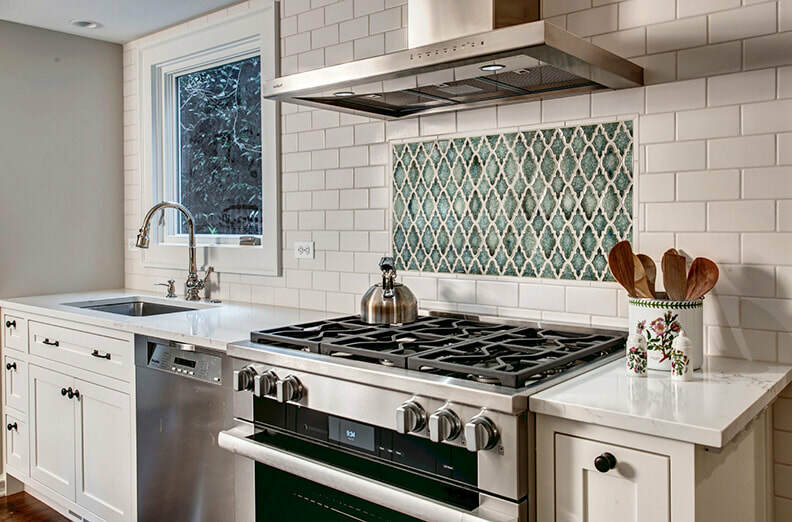 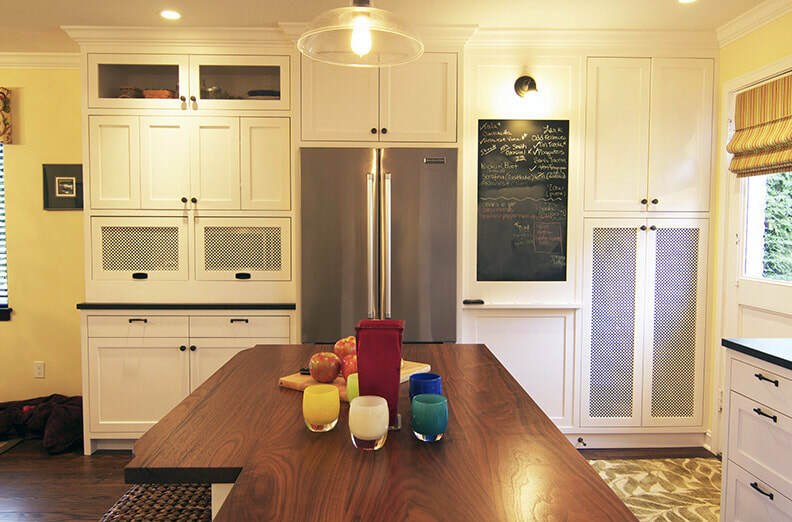 Specialty glass in the highest cabinets adds a refinement to the space. 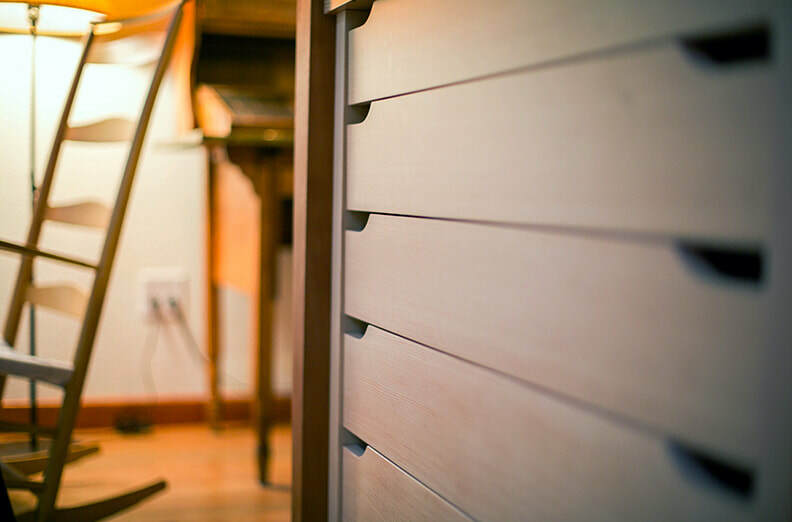 The beauty of custom work means building cabinetry and built-ins that feels like they belong in the home. This beautiful kitchen is an example of that. 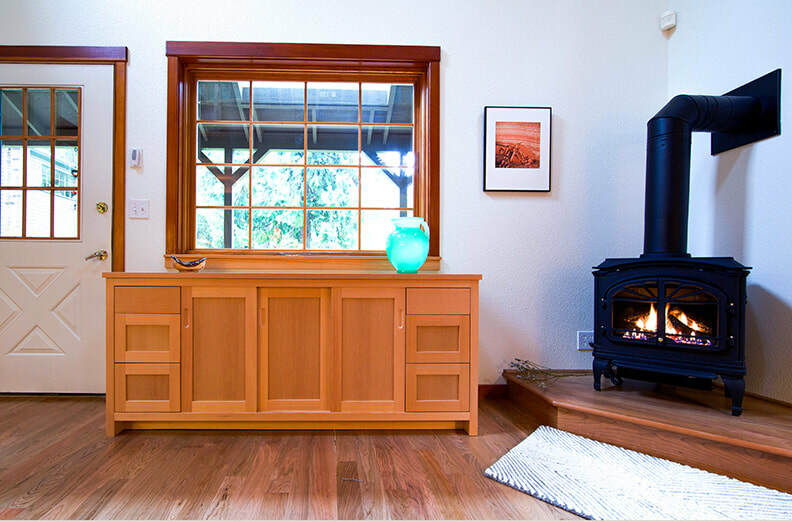 Rich wood tones throughout make this space feel at one with nature. Clear finished wood brings the outside in. 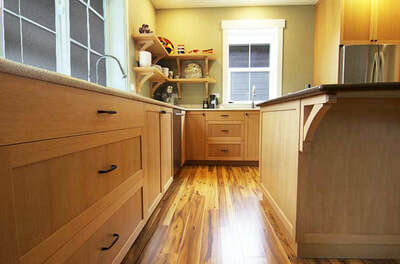 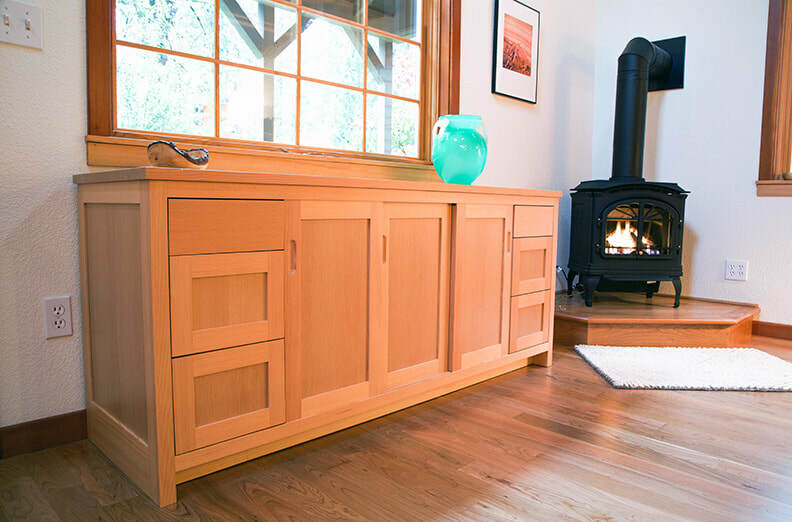 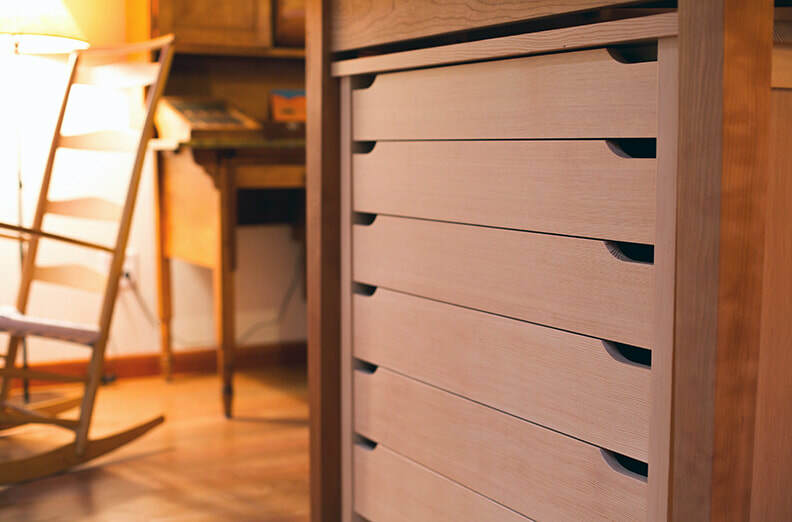 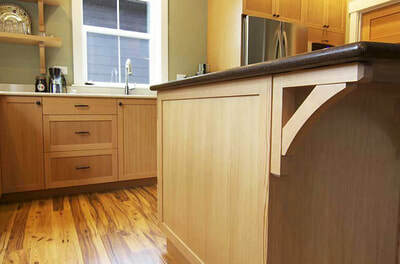 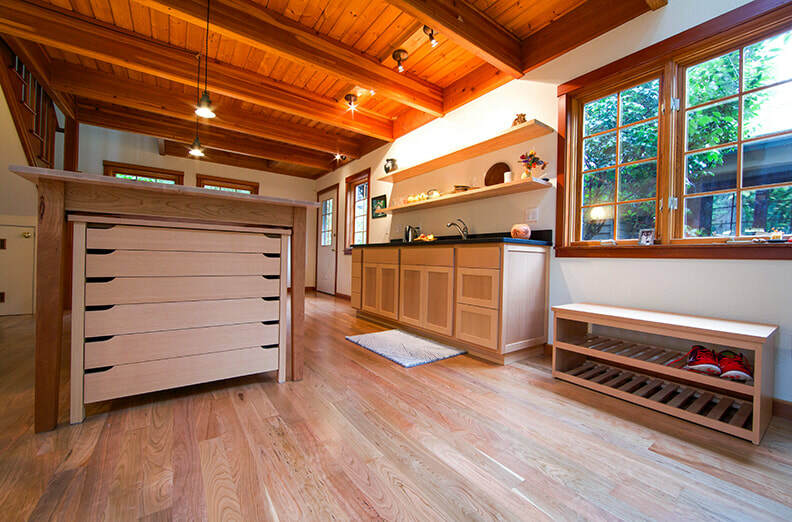 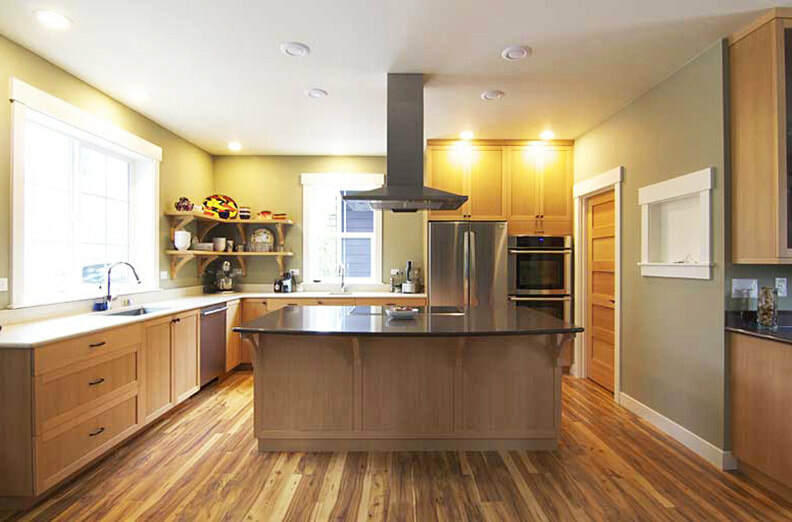 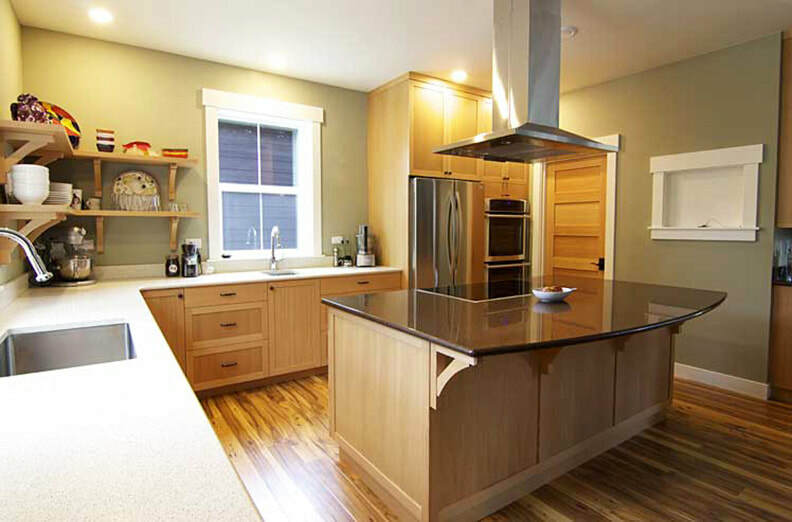 The beauty of the Pacific Northwest is showcased in these custom alder cabinets. 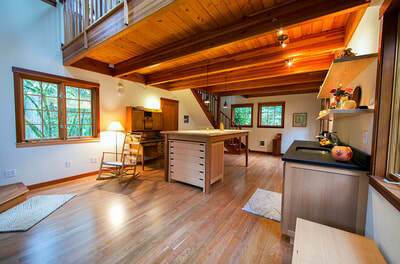 Casters on the island give the homeowners flexibility for the way they live. 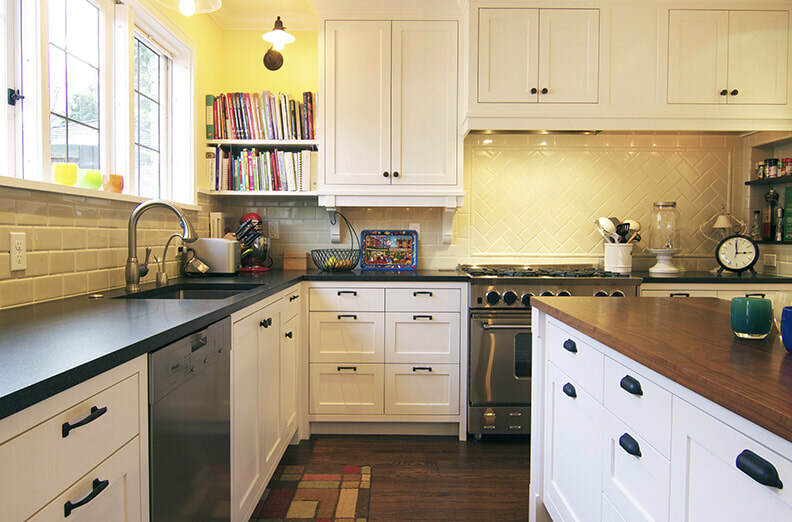 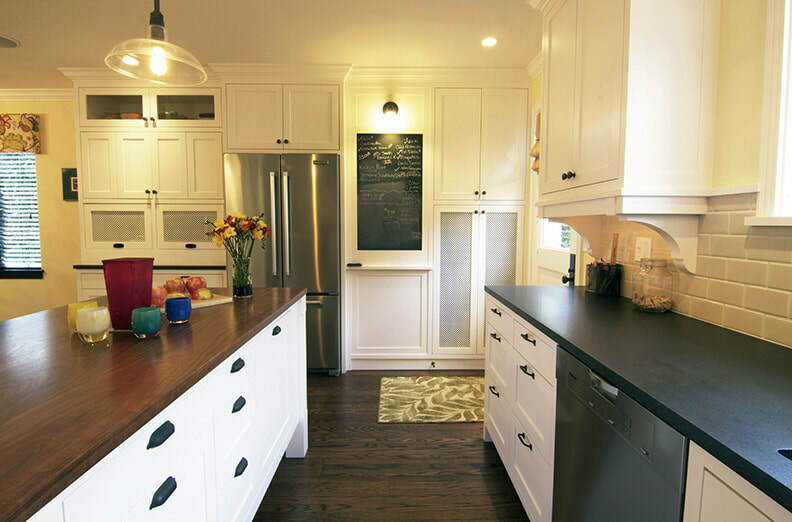 Gray painted cabinets make for a classic comfortable space. 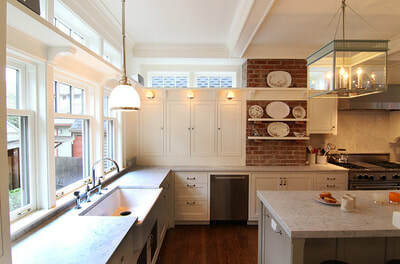 The apron sink is charming. 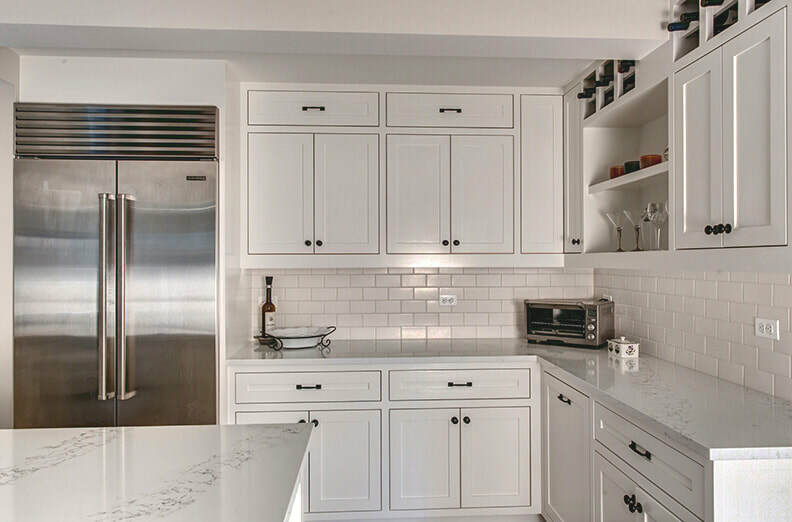 Features like open shelving and the wine rack made to fit are features that make custom kitchens worth the extra investment. 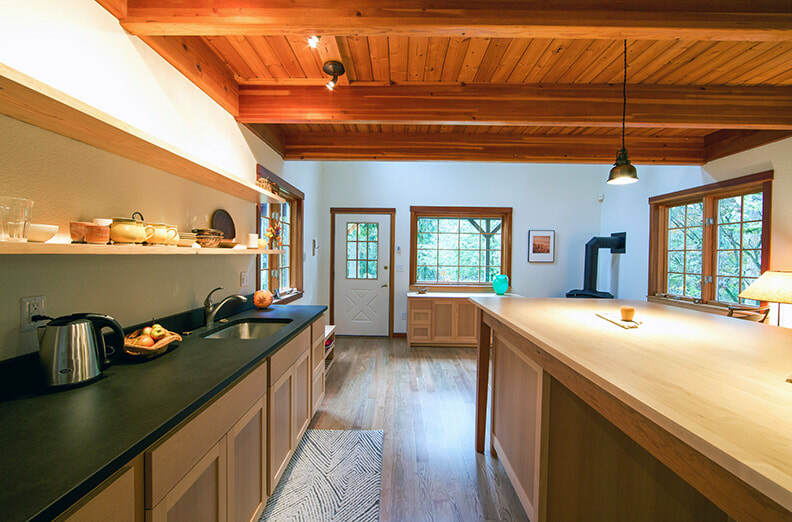 This kitchen showcases a striking contrast of dark and light. 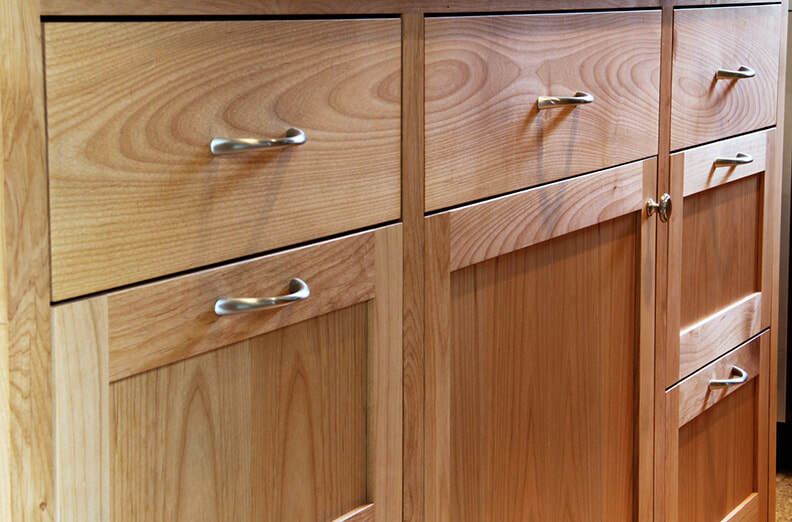 The panels on the island and the grain on the cabinet doors look like a piece of art. Beech Tree is meticulous about this kind of grain matching and the result is beautiful. 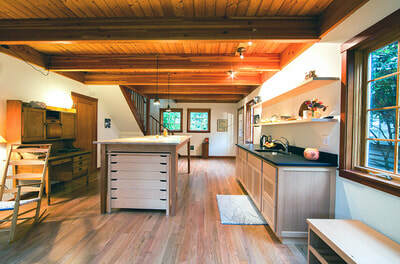 Lightness plays a starring role in this delightful kitchen. Light wood tones in the cabinetry ensure a warm space that everyone can feel inspired in. The neutral bones of this kitchen lend to highlights of color. 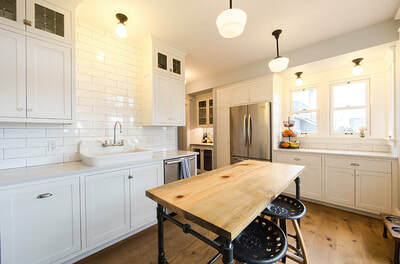 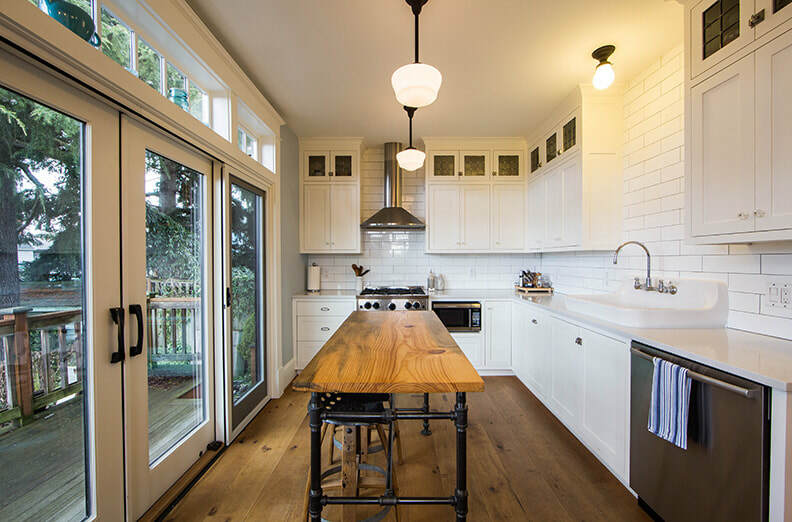 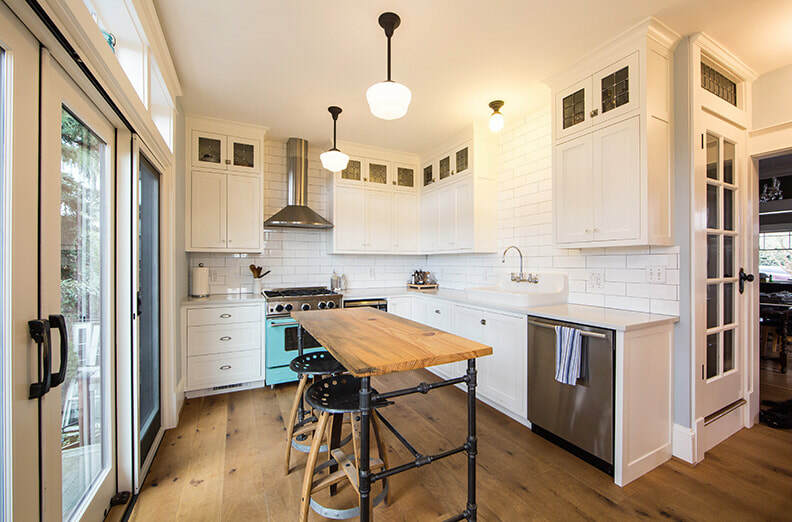 This craftsman home has a simple clean look. 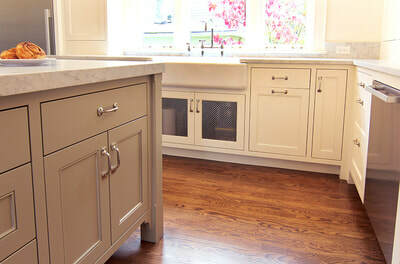 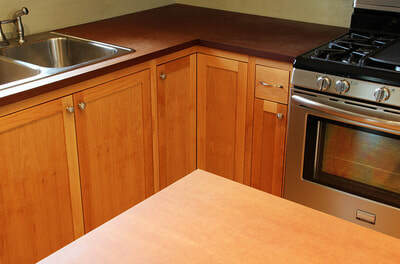 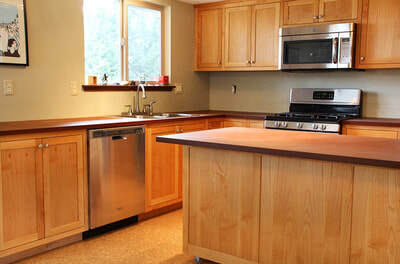 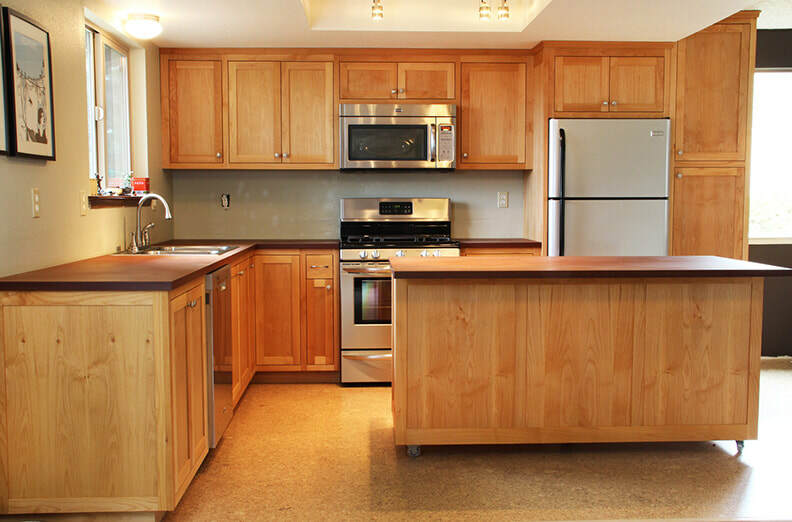 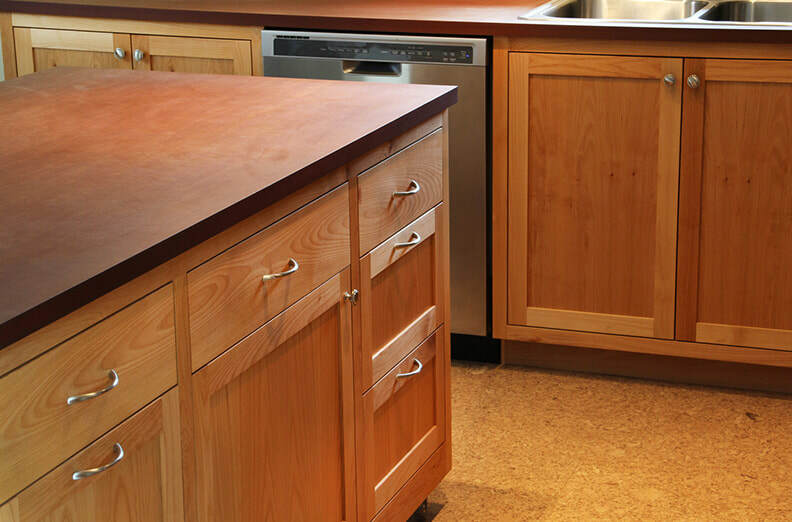 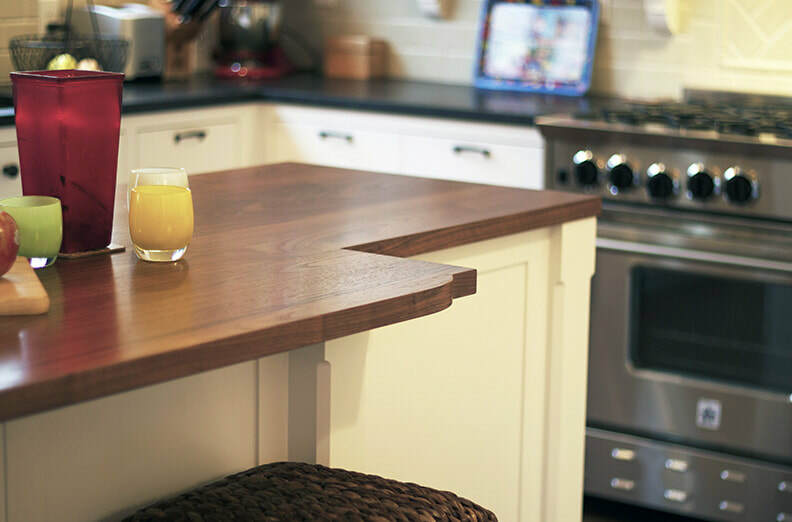 Even a small kitchen can be special when designed well and crafted with quality materials. 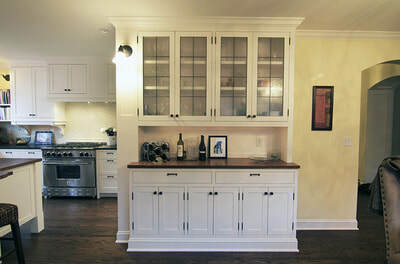 Custom cabinetry means that you can design around windows and corners in a way that utilizes your space perfectly. This polished space features flush inset frame panel cabinets. 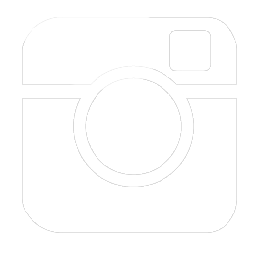 Appliances are perfectly integrated and the monochromatic look is elegance at it's best. 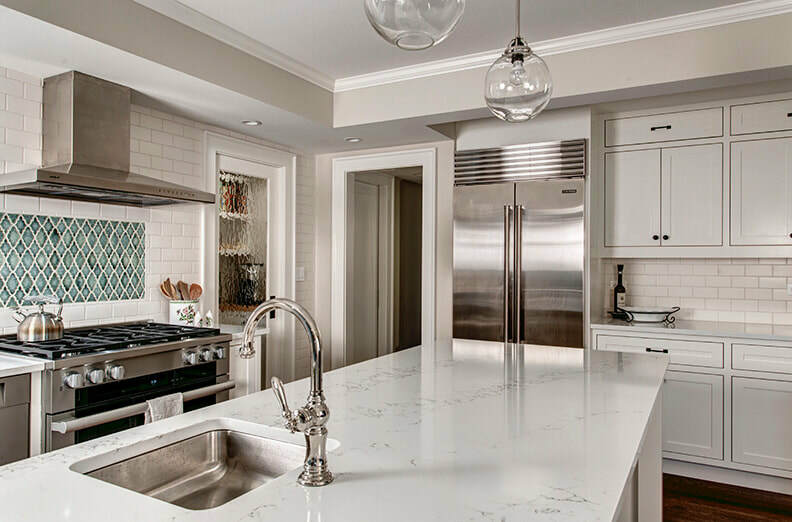 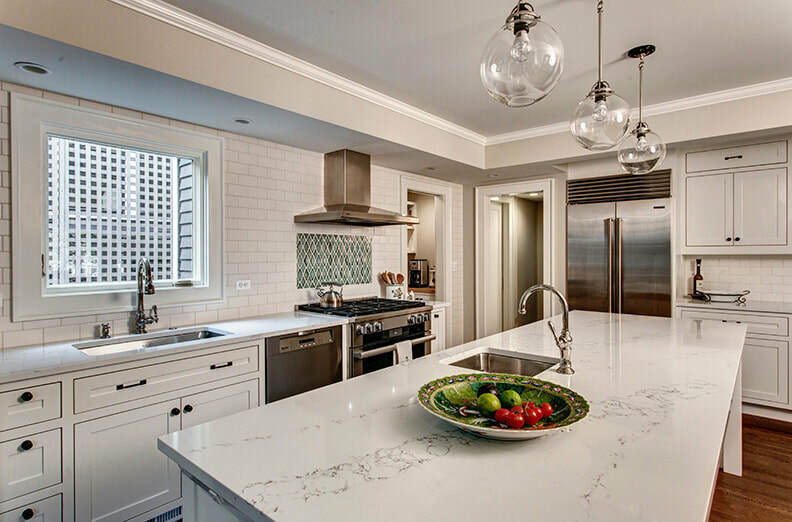 This metropolitan kitchen is perfectly designed for the needs of the homeowner. 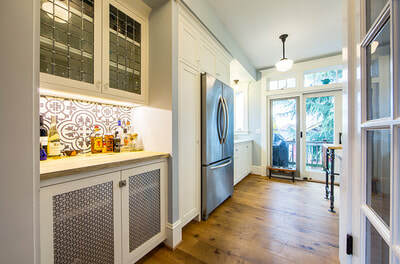 The bar cabinet with glass doors and the paneled wall make the space unique and engaging. 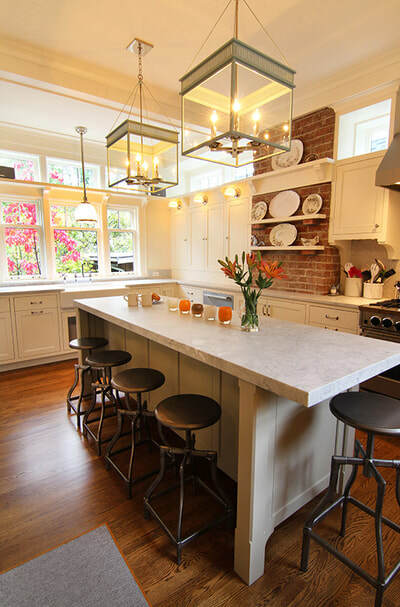 Exposed brick is front and center in this classical kitchen. 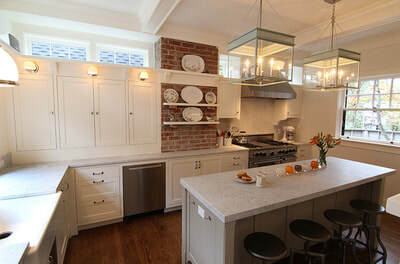 Cabinets that meet the counter top seem fitting for a space inspired by an era past. 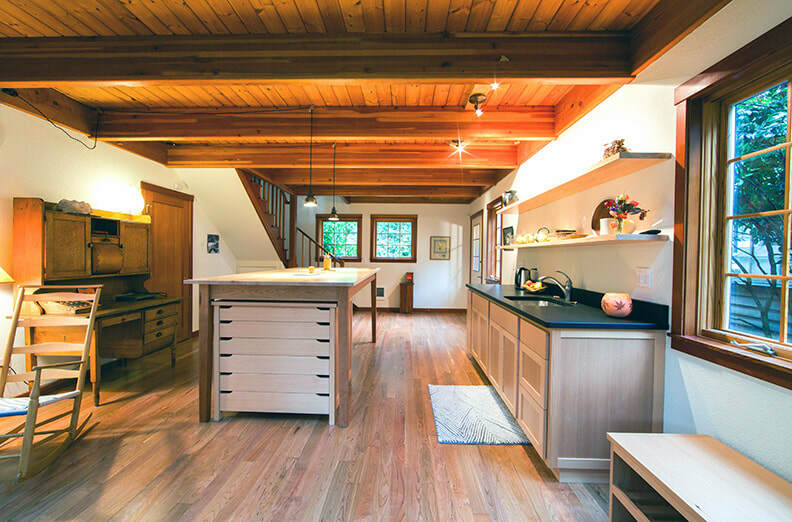 Modern appliances and fixtures fit perfectly in this room surrounded by natural light. 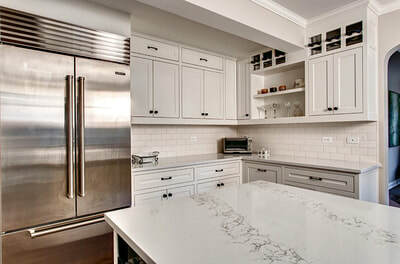 Black and white kitchens will always be classic. 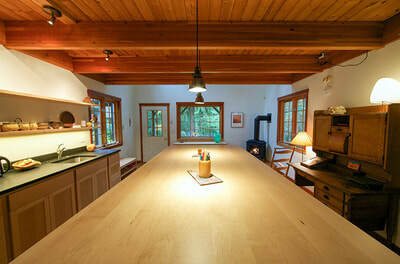 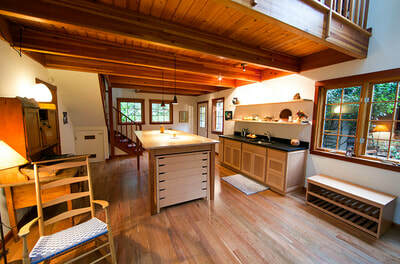 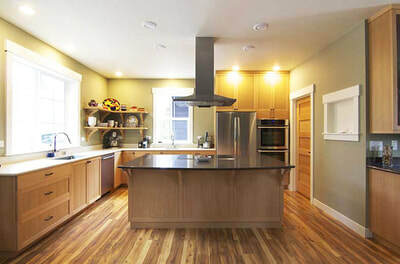 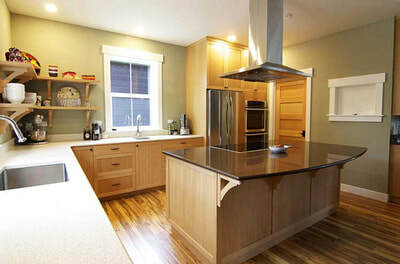 This beauty adds texture with corbels, shelves for cookbooks, and a warm butcher block island. 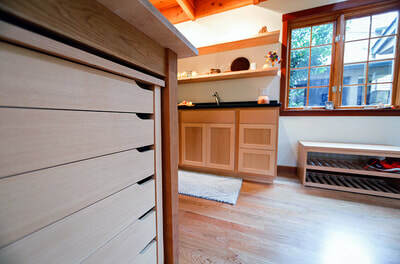 The cabinets above the range conceal a vent and add useful storage.